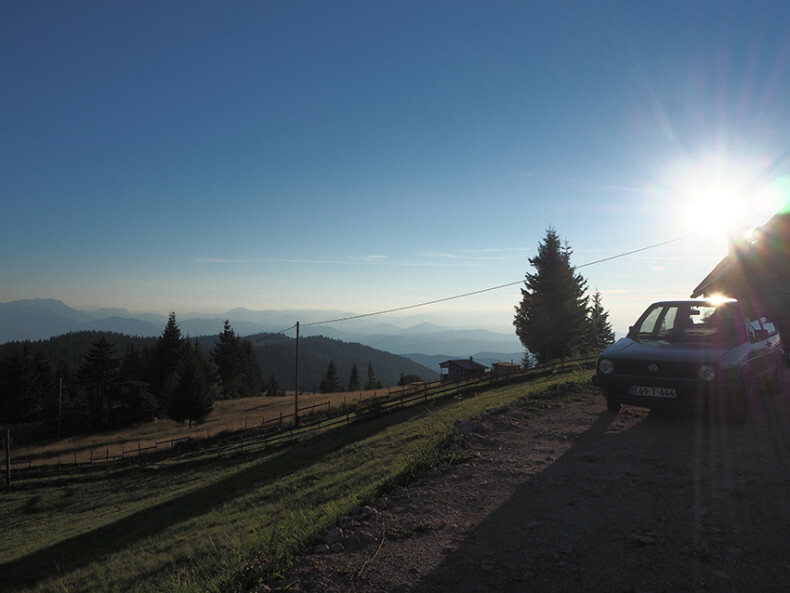 We drive a curly serpentine road from Sarajevo up to the mountains. The road is narrow and rough. I enjoy the exhilarating views but Jussi must concentrate on keeping our car on the road. In some of the many crossroads we think we are lost but then we see a guiding sign ”VK” and we follow it. We don’t really know what to expect but a couple of days on the countryside without the internet. 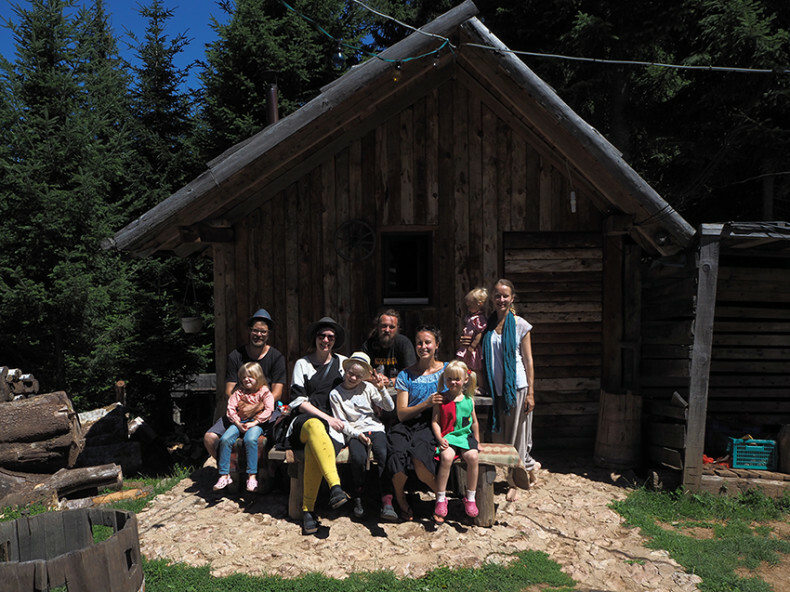 The guesthouse Vukov Konak is owned by a Finnish woman Nepu and her Bosnian husband Jasmin and they live in the Bosnian countryside with their daughters Iita and Aimi. 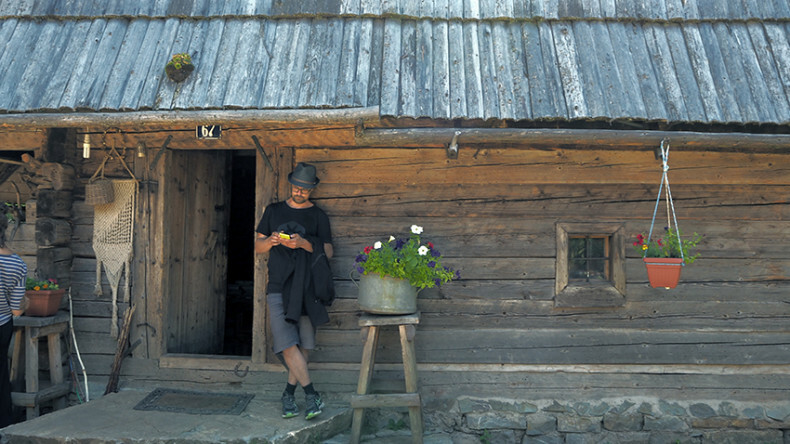 I spot the guesthouse about a year ago from a blog community called ”Hidasta elämää” (freely translated Slow life) where Nepu was sometimes writing about their life on the mountains. I got immediately very curious and decided that we must go there during our journey around the world. When we drive further to the forest it suddenly looks like we are back home in Finland. 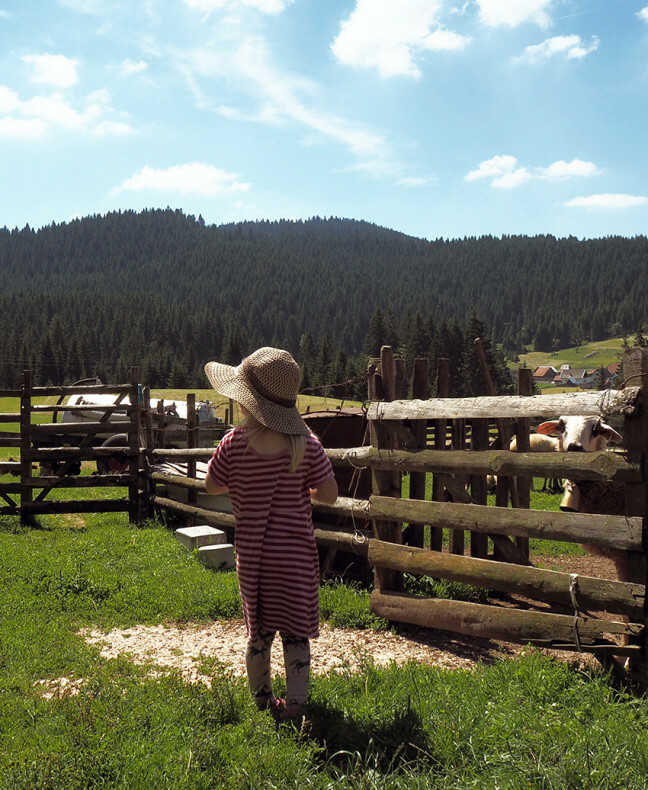 There are spruces in both sides of the road and when we arrive to our destination there is a cosy log-house waiting for us – and a total silence. 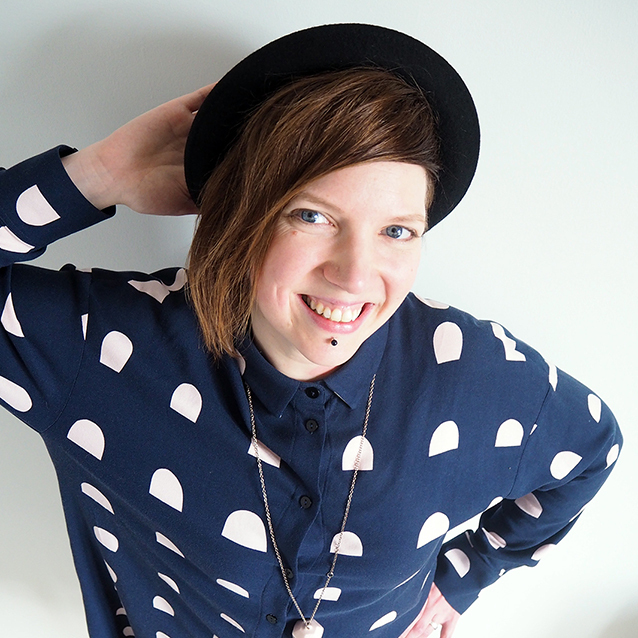 ”Luckily you found your way here before the dark”, says Hanne, Vukov Konaks´ volunteer and welcomes us warmly inside. ”Are you hungry?” She adds. Through the eyes of a tourist Vukov Konak seems to be a very silent and peaceful place, day after day. It is a spot where time does not exist. It almost feels unbelievable that in the busy and business oriented world of ours there is still a place like this: a place where life is very simple and all that matters is that you have food in the table and warm enough in the night time. A place where nature is respected and you live in harmony with it. It seems that Nepu, Jasmin and their kids are living a very idyllic slow life. One day we visit in the cow farm, where Nepu and Jasmin get all the milk, and many times we eat mushrooms that they have picked from the forest. One day our son Kosti practices curving with a knife and the other day Hanne teaches our kids how to stand with their hands. In the evening we go bathing to the Sauna. 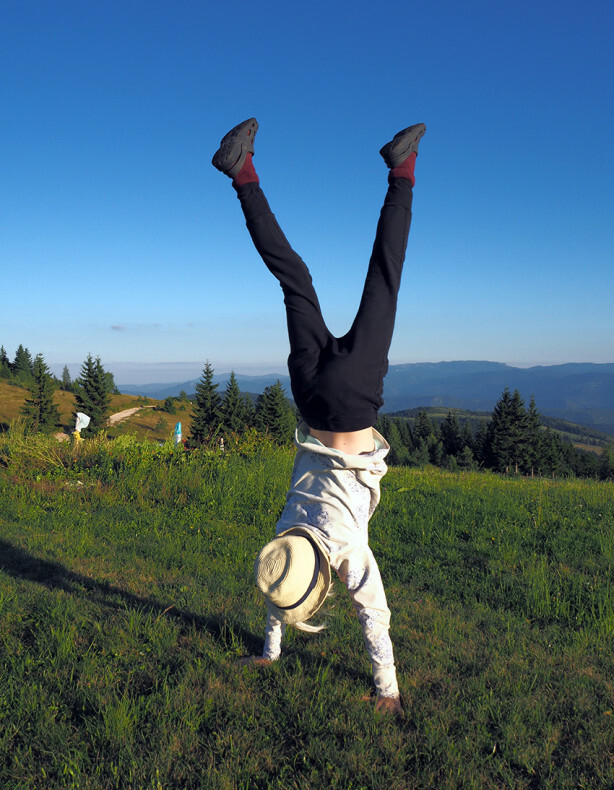 Running a guesthouse in Bosnia seems to be much more laid-back than in Finland. It is so sad that in Finland running the place like this could not be possible due to all the strict regulations. 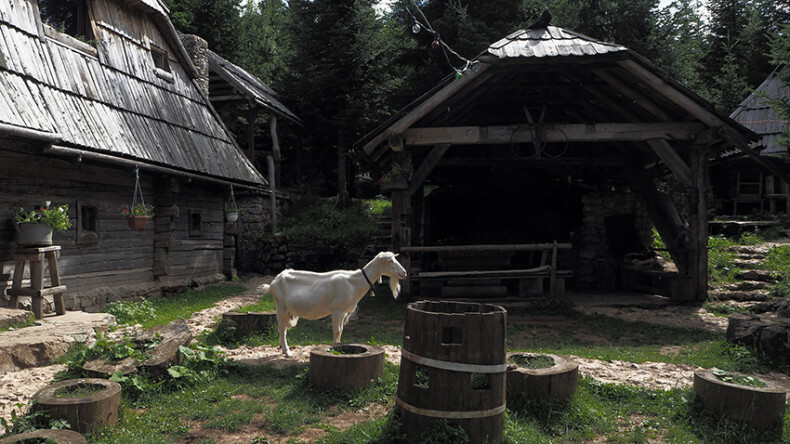 However, Nepu tells us that although a daily life is good and easy-going, not all the things are that well in Bosnia. They have considered about staying in the village of Vučja Luka a lot lately, because their elder child is going to school soon. Nepu tells us that by choosing the place you live in Bosnia you also choose your side. She tells us there are two official entities in the country with separate laws and political leaders, as if the country was split in two. The school system, for one, is heavily affected by the segregating policies. And according to where you live you often end up being among one major ethnicity: Bosnian muslims, Serbian orthodoxes, or Croatian catholics. For many Bosnians, only one truth exists and it depends on from whom you ask. Local people are used to it, they even joke about it, but for liberal Finnish people this is hard to understand. I can really feel their concerns! Much too soon it is time to move forward. In our last morning in Vukov Konak our kids are still playing a little bit with their new friends but then it is time to hug and say goodbye to everybody! ”I am going to miss you.” I say when we are leaving, and I really mean it though we have known each other such a short time. 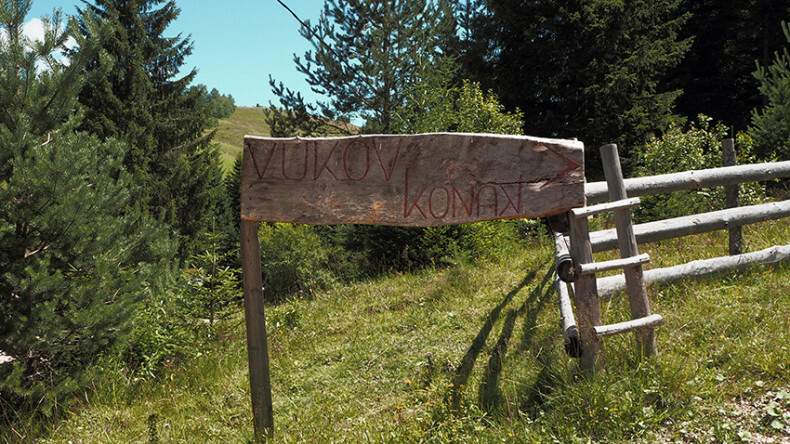 Although we stayed in Vukov Konak for only three days, the place and it´s people made a very big impact on us. First I thought I would write about how much energy these days have given me and how refreshing it was, but actually the place gave me much more. I hope that we can find the sense of Vukov Konak from ourselves whenever it is needed. I really, really hope that we will meet these enchanting people again and that we have possibility to get back there someday! A piece of our heart was left to Bosnia and to Vukov Konak.